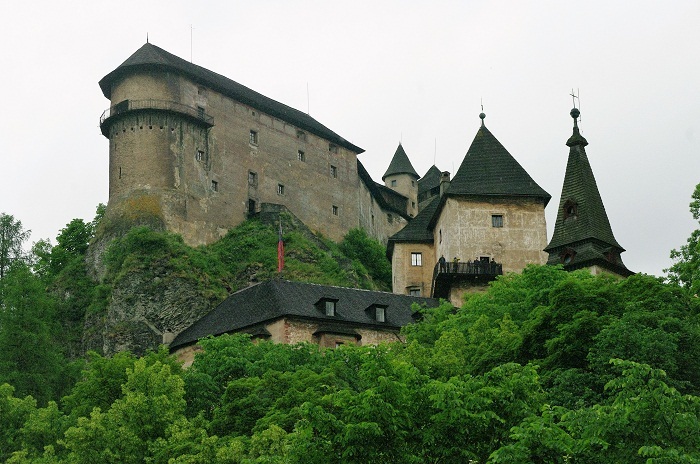 Orava Castle is a castle which was built in 13th century in the Kingdom of Hungary, and nowadays considered as one of the most beautiful castles, it is located in the Orava Region, near the village of Oravský Podzámok, in the Slovak Republic. 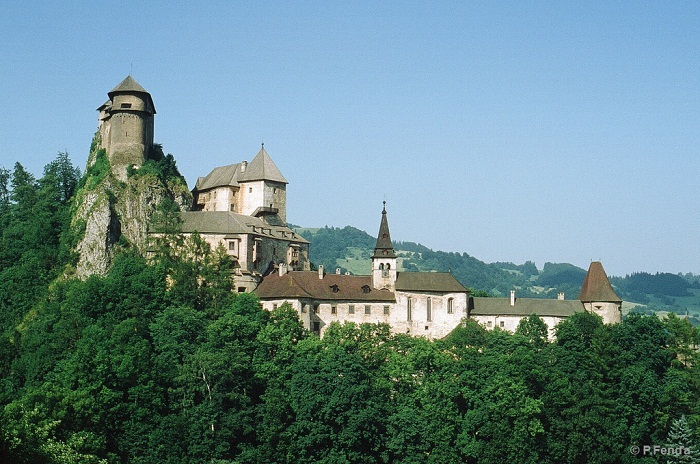 Built in the place of a former fortified fortress, right after the Tartar Raids, Orava Castle had its purpose to protect the important road that lead to Poland and also to serve as an administrative and military center for the region, which had a great importance. 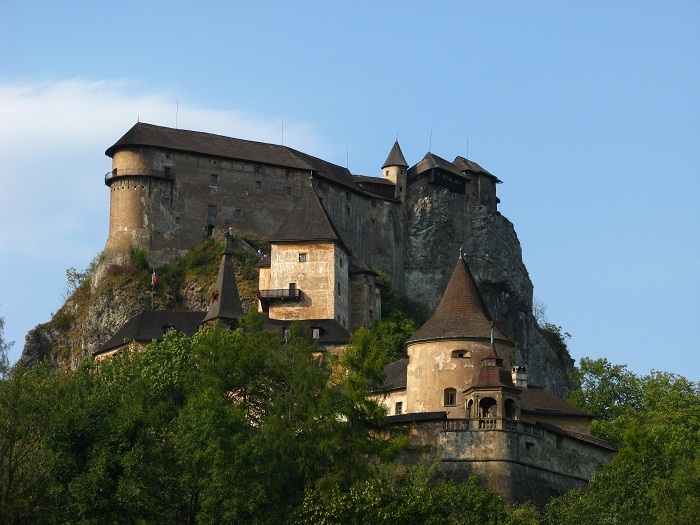 Originally built in the Romanesque and Gothic styles, later it was reconstructed in the Renaissance and Neo-Gothic styles, which today consists of several buildings copying shape of the castle rock. At the beginning the castle was only a wooden rampart, which became a strong walled castle most likely in 1267, however from the buildings, only the ground floors were built out of stone. Later in 1370 the first tower made of stone was built, whereas after 1474, King Matthew ordered in the castle to be built a square and living quarters. 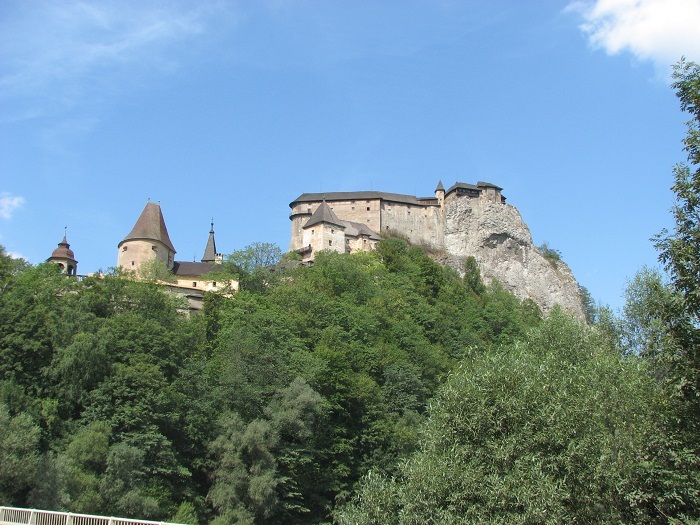 As they were built in the center, there were still many things that could have been done, which is what the head of the county in 1534 John of Dubovec has done. 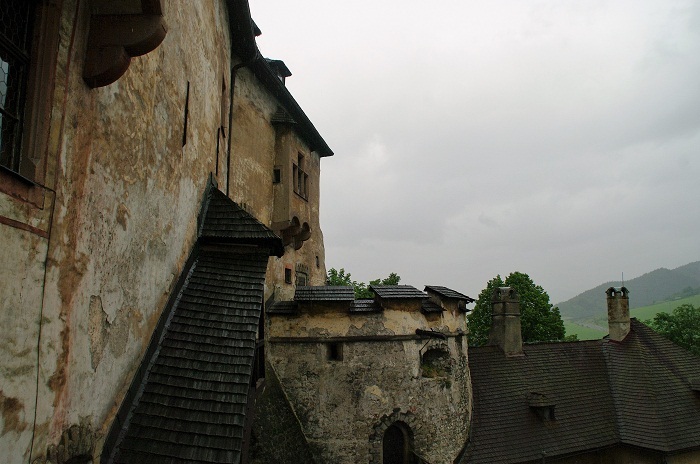 He started to rebuild the castle and to make new fortifications, and also ordered the building of a half-round tower in the Upper Castle, which in 1539 was followed by two large round fortifications for cannons in the Middle Castle. The empty space which was between the tower and the stone wall of the Upper Castle was used as a location for the palace which had five floors. 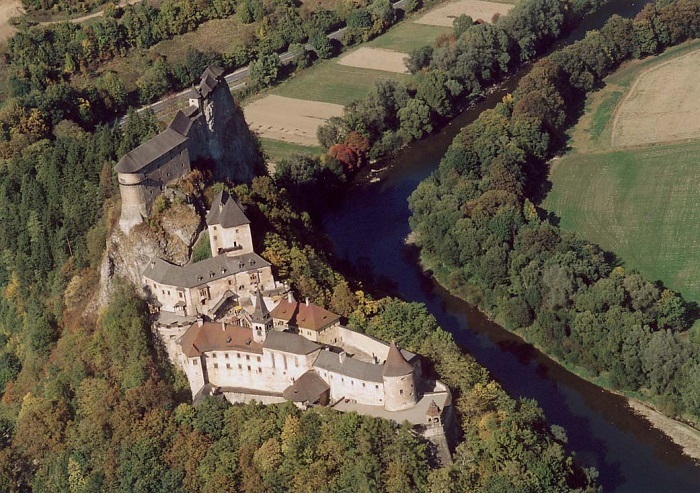 As the Orava Castle was significantly changing, the treat of Ottoman invasion was also bigger which made the building of the new fortifications to be sound, and in 1543 the new gate with a drawbridge was completed and gave the castle great advantage against everyone who wanted to invade it. 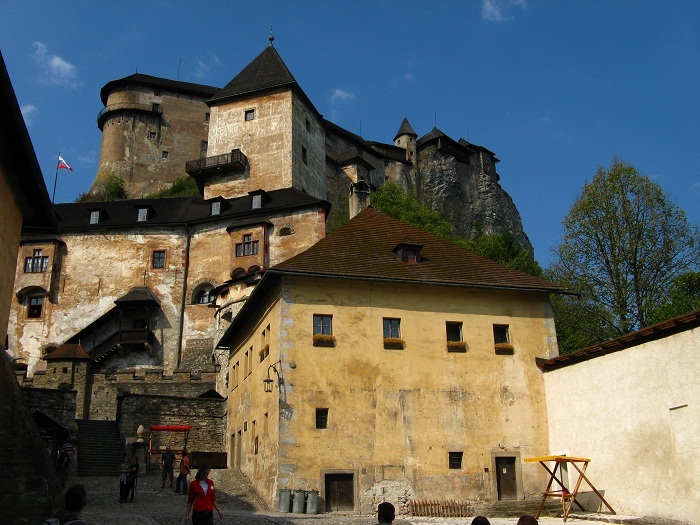 As these were the last architectural venture of the castle, no major improvements were made later, except for the well known Renaissance grave tomb of György Thurzó from the beginning of the 17th century and the Baroque altar from 1751 – 1752. 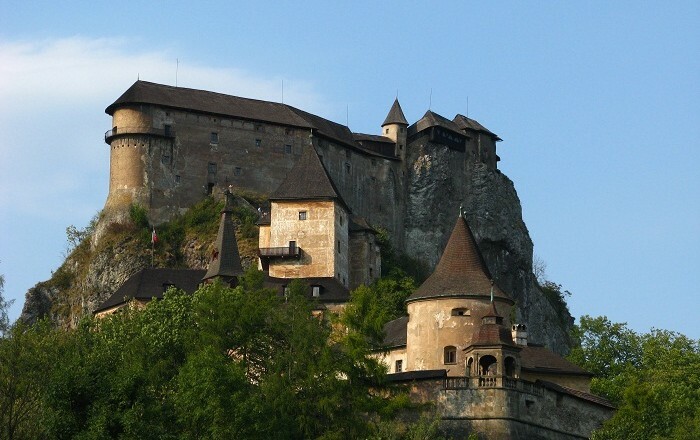 As the landlords of the Orava Castle changed throughout the history, a great disaster happened to it. In 1800 a gigantic fire severely burned all the wooden parts of the castle after several days and nights of fire. 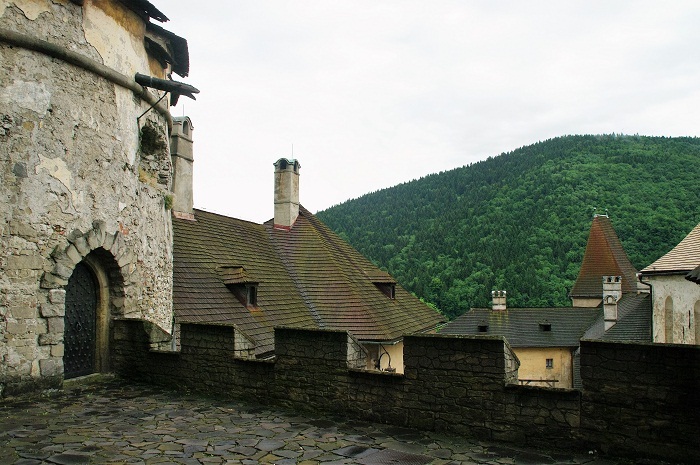 Some objects that were located in the Lower Castle were recovered, since they have been covered by the roof which consisted of individual overlapping elements. Even though the reconstruction began soon after the fire, the most extensive and significant reconstruction was made after the Second World War. Today the Castle is a remarkable compound of buildings of the lower, central and upper castles with palaces, fortifications and towers. Visitors are intrigued by its three entrance gates communicated by a tunnel, under which there is a dungeon. 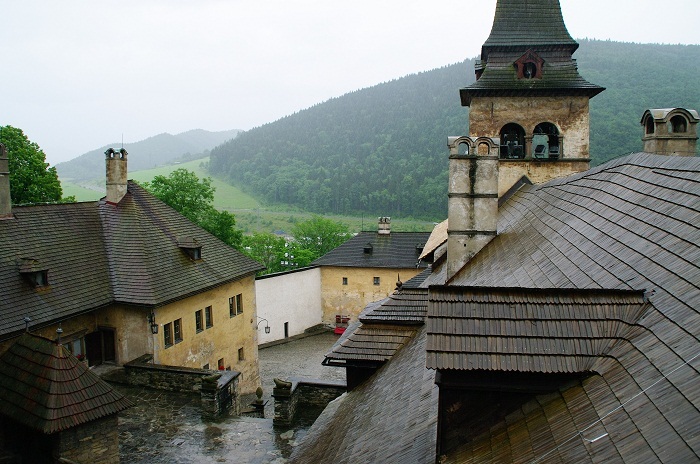 Since 1868, the castle houses the Oravské múzeum (Orava Museum), but there is also in the oldest part of the upper castle, the archaeological exposition documenting the oldest history of the Orava settlement. There are also the natural history exhibition which is installed in the bottom floors of the central castle with samples of fauna and flora, on the upper floor of the central castle, the ethnographic exposition, and the historical exposition which consists of a group of medieval and Renaissance buildings with their original furniture. 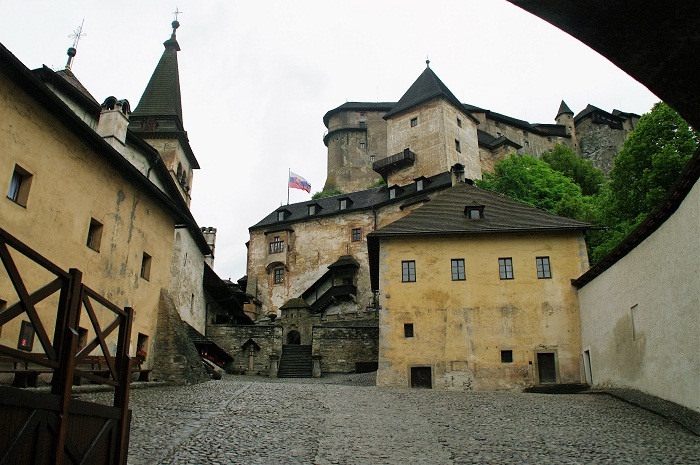 The popularity is greater due to the night visits to the Orava Castle, which are enriched with theatre performances and eerie events. All in all, a piece of history which is partially preserved and mostly restorated, that should be well known for the glorious past and role it had with its landlords and events.